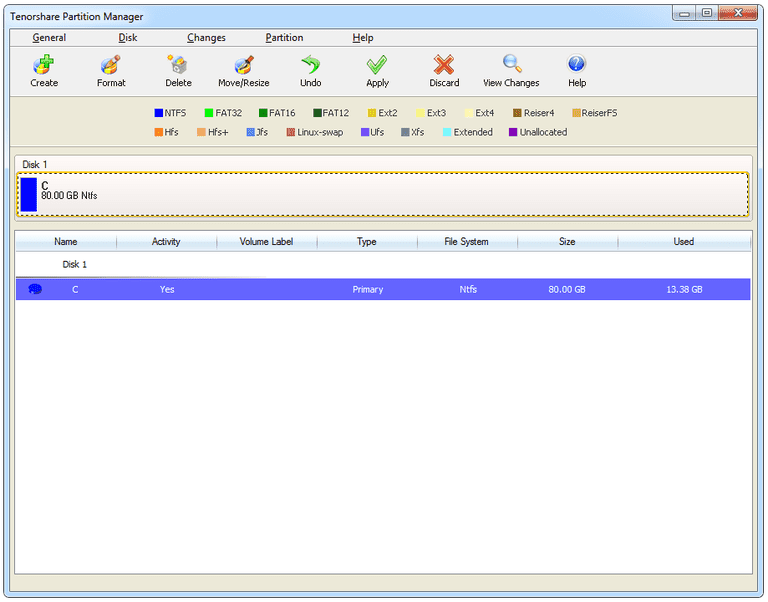 Tenorshare Partition Manager is a very simple and easy to use, free disk partitioning tool that is able to delete, format, create, and resize partitions in Windows. One major problem with this software is that it doesn't let you make changes to the system partition, which means you can't resize the partition that Windows is installed to. Tenorshare Partition Manager is a great program if you just need a free tool that can do simple tasks. The buttons are easily accessible and none of them are confusing to use. However, if you're in need of something even a tad more advanced, like a program that can change the size of the partition that Windows is installed to, you'll need to look elsewhere. Similar programs let you do anything you like to the system partition, like delete it, resize it, and format it, knowing full well that the computer may not boot after doing so. Tenorshare Partition Manager doesn't let you do anything to the system partition, even if the changes are done virtually first and only applied after a reboot. Lots of other disk partitioning programs also let you do things like copy, merge, and split partitions, but these are also missing from Tenorshare Partition Manager. The reason I've even taken the time to write up a review for this program is because it works perfectly fine if you're in need of basic things like building new partitions and deleting or formatting non-system partitions, all without requiring you to restart the computer.